As Farm Bill negotiations drag on burdened by the weight of proposed spending, one facet that is unlikely to change is the $1.01/per gallon cellulosic blending tax credit introduced by Sen. Ken Salazar (D-Colo.). As the tide continues to turn against corn-based ethanol, the perception that rising food prices are ethanol's fault has compelled two governors to request waivers from the Renewable Fuels Standard. 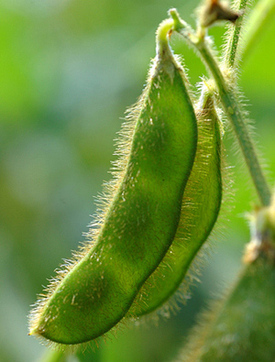 A large group of Senate Republicans on Monday asked the EPA to suspend the RFS entirely. Twenty-two Republican senators, including the presumptive GOP presidential nominee, sent a letter to EPA suggesting it waive, or restructure rules, that mandate a nationwide ramp-up in the use of ethanol to 15 billion gallons ethanol by 2015. On Friday, the Republican senators urged that EPA Administrator Stephen Johnson examine alternatives to "ease the severe economic and potential environmental results that are developing in America." "We are concerned that inflationary pressure on food will only escalate in the coming months," the senators said. We can't help but feel that the senatorial outrage with ethanol is being condensed into too narrow a beam. The nearly $300 billion Farm Bill that's on the table extends or increases many of the subsidies and special protections enacted in the 2002 version, a package that was criticized at the time for costing $250 billion. How’s that for inflation?